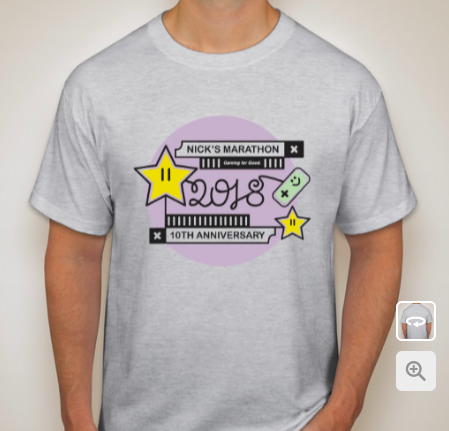 On October 24, 2008, we started our very first Nick’s Marathon. 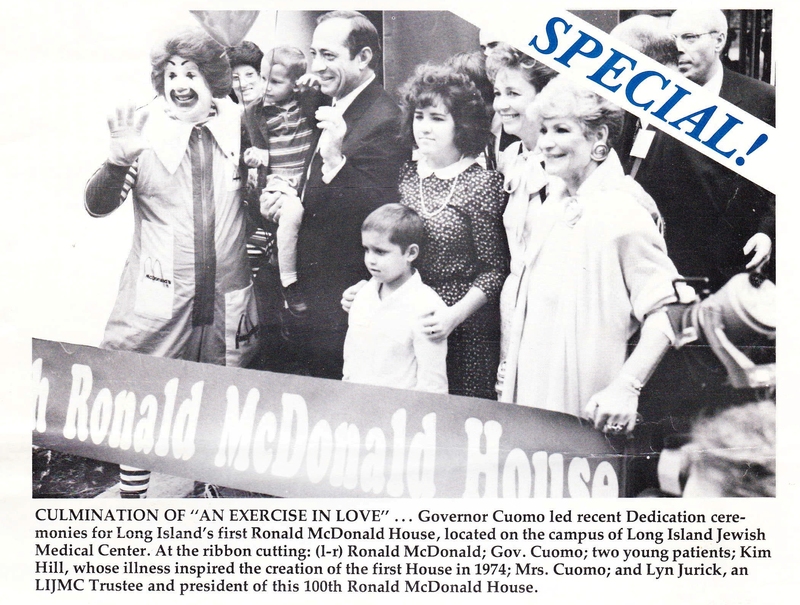 We’ve come a long way since then—raising tens of thousands of dollars for the Ronald McDonald House of Long Island and other organizations that improve the lives of sick children. 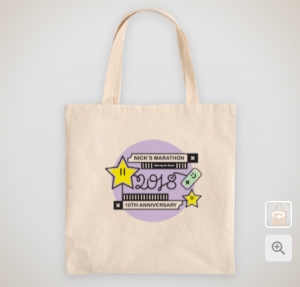 Ten years later, we still miss Nick terribly, but we’re keeping our commitment to keep his memory alive. Our 10th anniversary logo, designed with love by Nick’s sister, Tara Capobianco, is a symbol of what we’ve accomplished so far and our promise to keep moving forward. 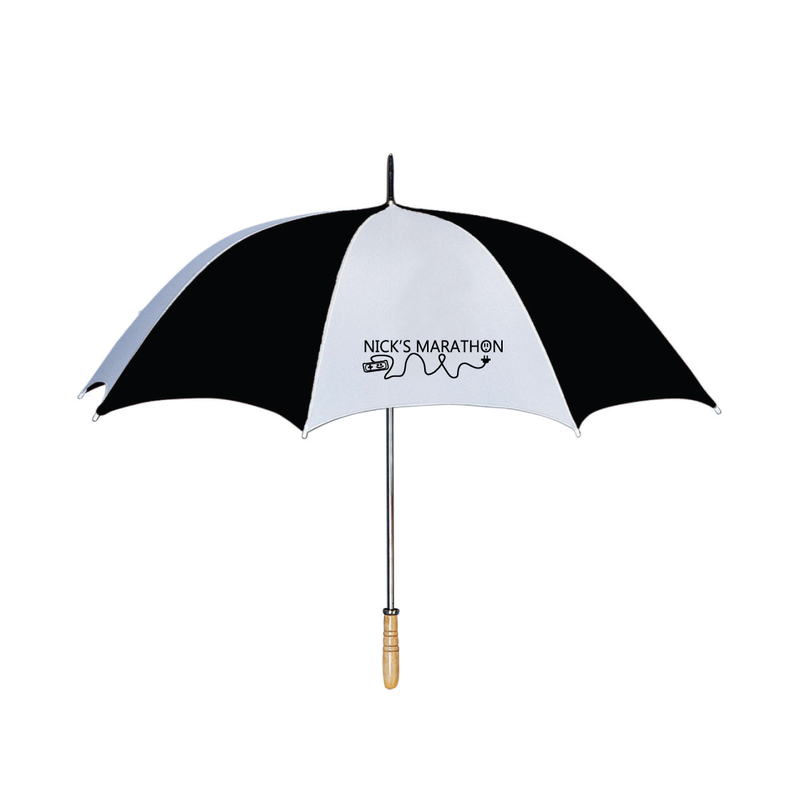 We’ve got a lot of fun things planned this year as we celebrate this milestone… stay tuned for more details! 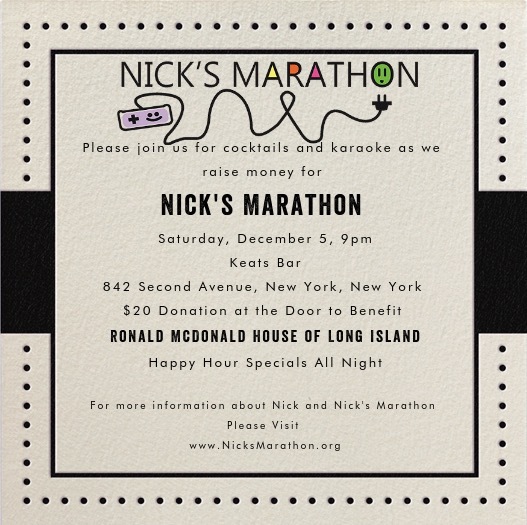 As you may already know, one of the main focuses of our fundraising efforts is to support the Ronald McDonald House of Long Island. Why? 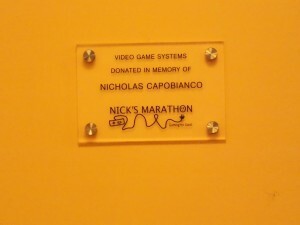 Because when Nick was just seven years old, he participated in the ribbon cutting ceremony there when the House first opened its doors. Now, their playroom bears a plaque with his name. 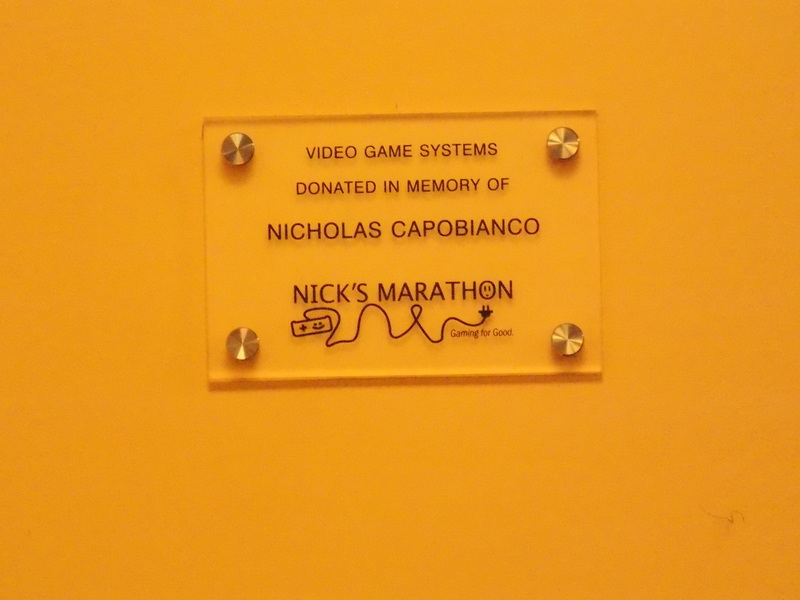 The systems, controllers, accessories, and games were donated to RMHLI by Nick’s Marathon in 2013. In the years since, we have continued to make sure that the House has the very latest games. New controllers. The most recent Skylanders, Disney Infinity, and amiibo figures. We believe that any children who stay at the Ronald McDonald House shouldn’t just have any old video games; they should have access to the newest releases, the must-haves, the games that they really want. This year, we will be especially focused on buying the Ronald McDonald House new handheld systems, namely those in the Nintendo 3DS family. We’ve talked to people who work at the House, and we’ve heard that many children really enjoy having the portable systems. Sometimes it’s because they have compromised immune systems, and they can’t play in a large room with other kids, so they need something they can play alone. Other children don’t necessarily have to be alone, they just prefer some peace and quiet. Other kids have to go to the hospital for long, boring stretches, and having access to a 3DS can make the time go much faster. We’ve already donated many handhelds to the House over the years, but after hearing just how important they are to the children who stay there, we have decided that this year, a bulk of our proceeds will go towards buying new handhelds and games. We never want a child at the House to be hoping to play a game like Super Mario 3D Land or Animal Crossing or Pokémon Sun/Moon and not be able to because other kids are using the only other handhelds. 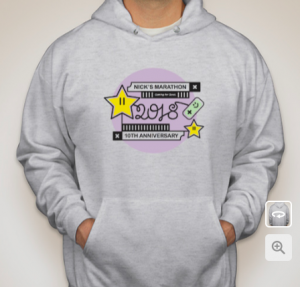 In order to make that happen, we need your help. Make a tax-deductible donation today, and help us give the children staying at Ronald McDonald House access to the portable game systems that make them smile when they need it the most. Starting at 8pm ET tonight – Friday, December 2nd! We’ll once again play 48 consecutive hours of video-games as we raise money for young children in need. 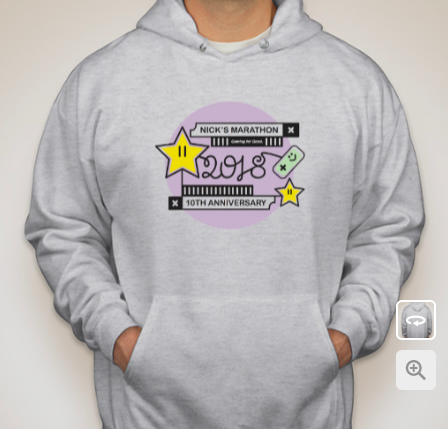 You can buy raffle tickets and have a shot at winning one of five NES Classic Edition systems! Either way, you’ll be making a positive impact on the lives of children and families in crisis. Thank you for your continued support, and we’ll have more information as we get closer to December 2nd! ***UPDATE: We are regrettably canceling this year’s Super Bowl pool. Instead of buying a box, we hope you will choose to make a tax-deductible donation instead. The Big Game is almost here, and we are once again hosting our annual Super pool! It works like a standard office pool, only everything is online. Each box costs $10, and you can buy as many as you want. Just use the PayPal button below to pay for your boxes, and then we’ll email you the password so you can make your picks. That means you could win up to $500 (if your numbers come up on all 4 quarters! ), all while supporting a great cause. It’s win-win! *Please note that the purchase of these boxes is not tax-deductible. We are just two weeks away from the kick-off of Nick’s Marathon, but we’ve got even more fun stuff planned! 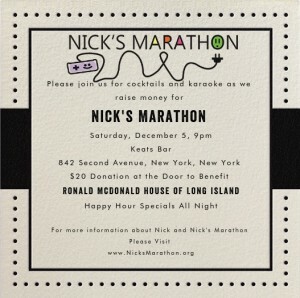 On Saturday, December 5th, join us at Keats Bar in New York City for a night of fun, fundraising, and KARAOKE! Come and join us, and your $20 donation at the door goes directly to honoring the memory of a great friend and brightening the lives of sick children. There will be drink specials, good times, and lots of 80’s songs.